The kakapo is the strangest parrot species in the world in that it is a nocturnal bird preferring only to be active and night, and it is strictly a ground dweller, meaning it never flies! Kakapos are known to hike through their forest habitat for miles every night. 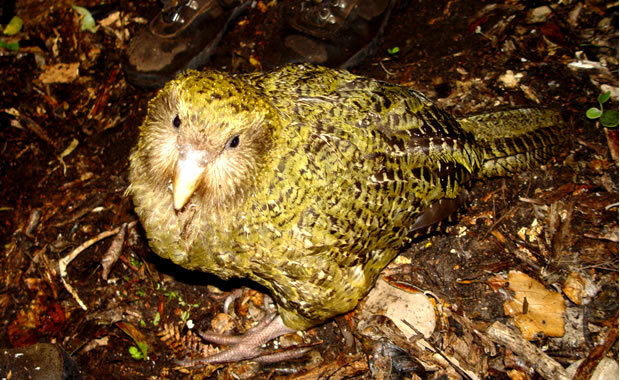 The kakapo is the heaviest parrot species, weighing up to eight pounds. The species is only found in New Zealand and is unfortunately critically endangered with only 62 kakapos left on our planet.